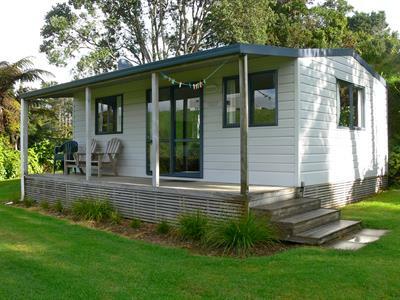 The unit has a deck where you can unwind with a drink and nibbles and watch the kids play on the lawned area. 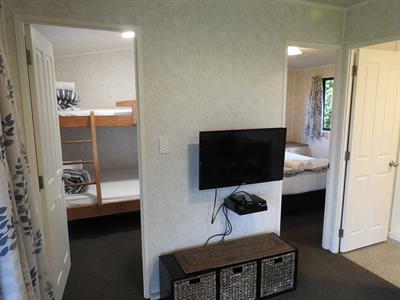 In the lounge area, you can relax and watch TV or read a book. 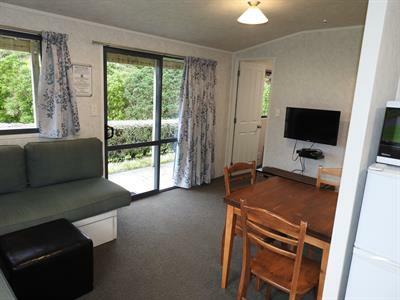 There is a small dining area with a table and chairs in the unit too. 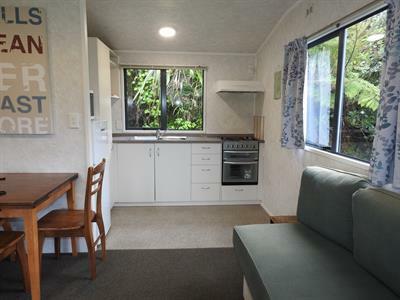 The kitchen has a cook top, microwave & oven, a large fridge/freezer, and a complimentary selection of coffee/tea plus milk and sugar to start you off with. In the kitchen cupboards you will find a toaster, jug, salad bowl, cups, plates and cutlery. 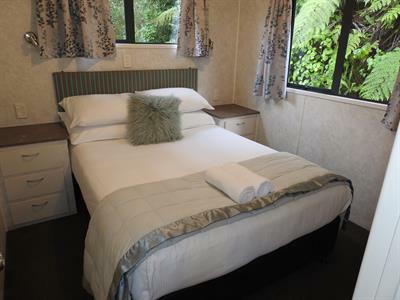 You’ll find a comfortable double bed in the master bedroom and a duo bunk in a separate room - double bed with single above. 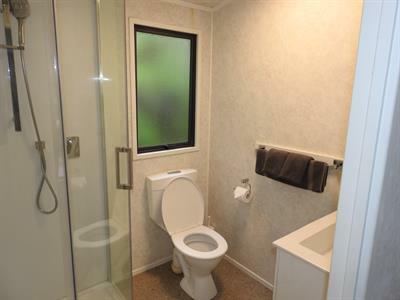 There is a spacious bathroom for you to enjoy with a toilet, hand basin, cupboard space and a nice, powerful shower. Towels and linen are provided.